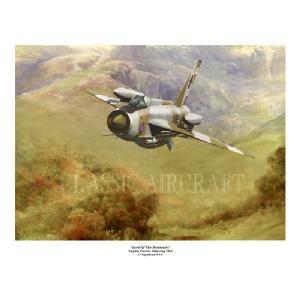 Print depicts an English Electric Lightning Mk6 of 11 Squadron RAF flying low through a mountain pass. 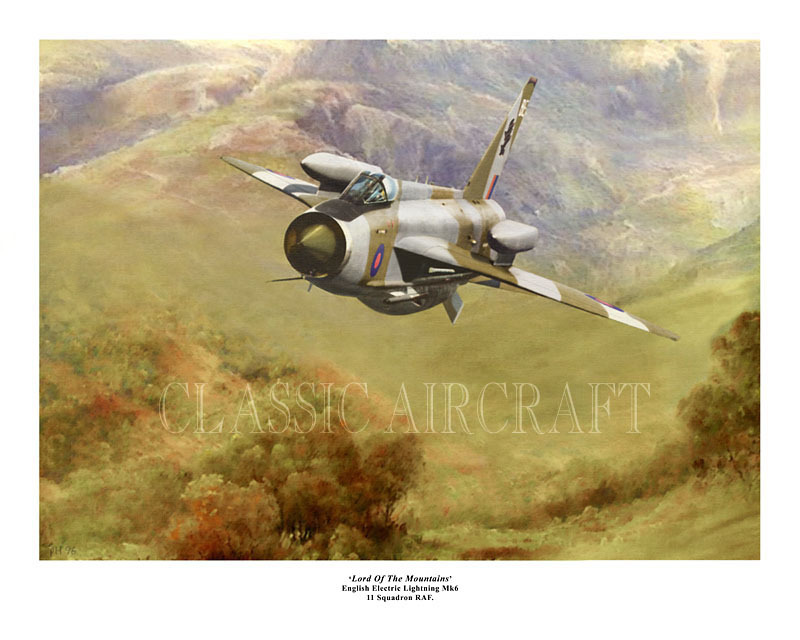 Giclee fine art print on 300gms, 100 % cotton paper or unstretched canvas.Artist signed. ( limited to 200 prints ). Overall size 20x16 inch. Image size 18 x13 inch.